Thank you, Sis, for the shirt! I really love it on Emily. I painted an "x" on her face since I sometimes have the Sim-version of Emily wear little (removable) tattoos under one of her eyes. I think I'll do the "x" again when she comes home. I think it's cute. 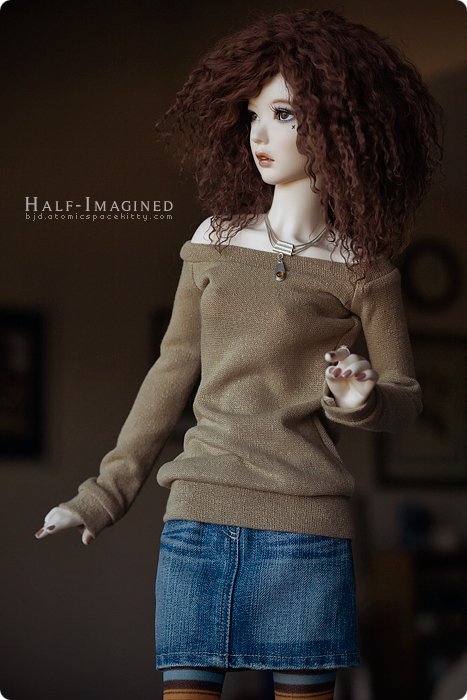 Oh I also love the sweater that Kim sent in our box, it looks great on Emily and her Jean skirt. She is a beauty. I love her wig, the X and her jewelry. What type of face up is she getting? Nice nail polish and ring. Thanks, Mom! I asked that she have brown-based, smoky eyeshadow and natural lips in neutral tones (as opposed to the warm colors she has now) with thick, arched brows. I sent pictures from fashion magazines to give Cristy an idea of what I was asking for. When she gets home, I'll do her body blushing. she's gorgeous! i love her hair, her clothes and the x was a nice touch! Thanks, Lani! She's so much fun. It's great having a shell for one of my favorite characters. She is so beautiful, I am amazed! And somehow her attitude shines through. Lovely, lovely creature! Can't wait to see her new face up. She has a really sweet looking face – it's a nice sculpt. I was just about to ask if her wig was by Tinybear but I saw it in the credits. 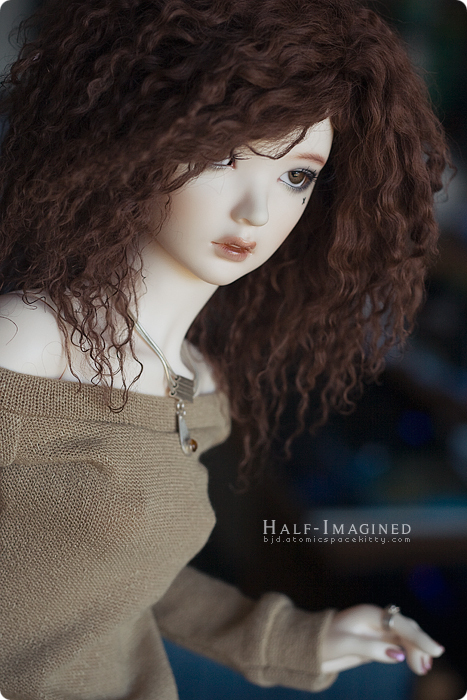 I love her wigs and I haven't got around to ordering one yet. 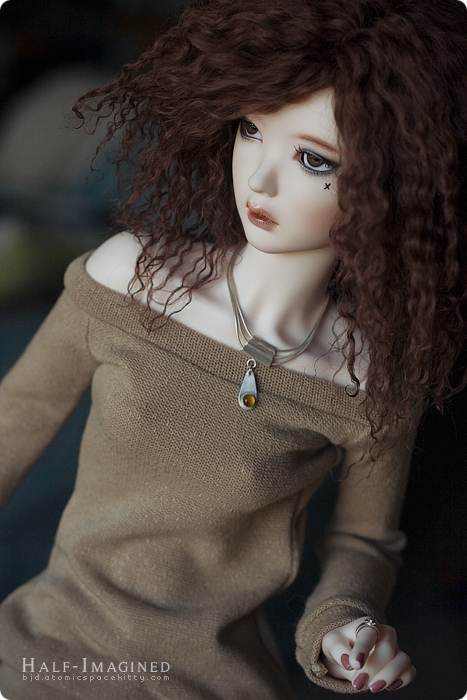 Your supia rosy, dollshe saint and your spinel are one of my favorite dolls. And you have them precious. @Tristan_Veland. : Muchas gracias, Lara! I love your Spinel too.